Would you invest in a company that you knew was nothing more than a scam? A company whose victims were people who could least afford to be ripped off? If you or a fund you invest in has holdings in Herbalife (HLF), then you are unwittingly contributing to a fraud. If you are aware of the scam and that still hasn’t moved you to disinvest, then you deserve to lose your investment once the stock crashes. And it will crash. The film Betting on Zero by Ted Braun exposes the deceitful business model of Herbalife, a multilevel marketing company that has been operating a pyramid scheme for more than a decade. It also delves into the battle between Bill Ackman and Herbal Life. I was aware of the Bill Ackman side of this story. I knew of the involvement of Carl Icahn. But I didn’t know the full details. Betting on Zero lays out the deceptive business practices of Herbalife, showcases some of the victims of the scheme, and calls out the greedy players in this massive Wallstreet ripoff. The Herbalife business model works like this. They produce a line of overly priced, of questionable value, shakes, and supplements, and then pawn them off to distributors. The distributors can’t make money by selling the product to consumers. There is no demand for the product. The only way they can make money is to recruit friends and family to become distributors themselves, giving the up-line distributor a commission. It’s a pyramid scheme where only a few thousand people at the top of the pyramid make money. Eighty per cent of the distributors either make less than their investment or lose their investment (anywhere from $4,000 to $20,000). Is that a business model you support? 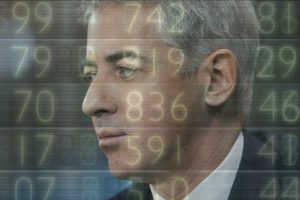 Once Bill Ackman, a hedge fund manager, learns about the business practices of Herbalife, he shorts the stock, confident that once regulators are made aware of the scheme the company will have to shut down and the stock will be worthless. It is a very big gamble. If the stock rises in price Ackman and his investors stand to lose millions of dollars. Ackman runs into two problems. The first is that he is relying on a bureaucracy to act promptly. The second is Carl Ichan. The same Carl Ichan that is now under investigation for using an unpaid Trump appointment for personal gain. The same Carl Ichan who singlehandedly caused the bankruptcy of TWA. The same Carl Ichan who invests in Herbalife not because he believes in the product (despite his vacuous claims), but because he has a vendetta against Bill Ackman and sees an opportunity to drive up the stock while at the same time harming Bill Ackman. Some of the other evildoers in this plot include former Herbalife CEO Michael Johnson, who benefitted from the scheme to the tune of 89 million dollars a year in salary; founder Mark Hughes, who made false claims and promises; and the thousand of President Level members who continue to rake in the money from the millions of individuals looking for a way out of poverty. I predict that Bill Ackman will be proven correct. Thanks to this film and his efforts, Herbalife is destined for collapse. See it now on Netflix.